If you’re an adventure lover like me, this list of adrenaline-pumping, thrilling travel ideas in nature will give your idea of green travel a bold makeover. Look no further than these daring travel destinations for a taste of something different. So the question is – how many of these would you dare to attempt? Find out how you score on the daredevil meter and if you have a head for heights! At 2,160 meters, you really need to not look down as the South Peak of Mt Huashan is the highest peak among the Five Sacred Mountains of China. The most terrifying part is Plank Road, a wee plank path built along the side of a vertical cliff, about a foot wide. As you can imagine, the drop is truly frightening. In beautiful southern Africa, you’ll find Victoria Falls, one of the Seven Natural Wonders of the world. However, many travelers may not know about Devil’s Pool, a river area found on Livingstone Island at the edge of the falls. Travelers staying in the area can take an expertly guided tour to experience Devil’s Pool for themselves first-hand. While you won’t be jumping down the 1,708 meter waterfall, a guide will help you as you swim in the river that flows into the waterfall just before the drop. What better way to visit one of the world’s most incredible natural landmarks for your green travel? 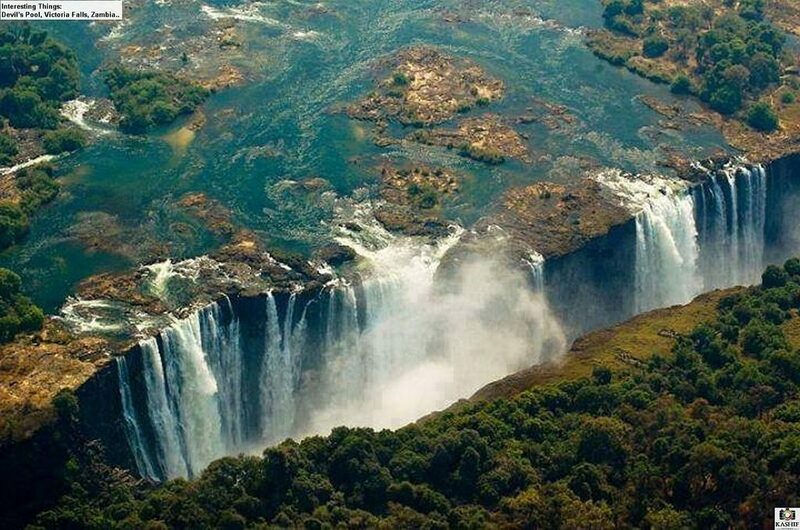 For the more cautious traveler: As mentioned before, Victoria Falls in itself is a sight to see. Even if you don’t want to swim in the falls, this area is great for photography aficionados and nature lovers. You’ll be sure to experience gorgeous views no matter where you are. Cliff camping is exactly what you might be imagining it to be. Travelers can spend an entire night suspended alongside the edge of a mountain in Estes Park, Colorado. With the help of an expert climber, you’ll have an unforgettable evening experiencing nature hundreds of feet off the ground. If you’re not interested in spending the whole night cliffside, Estes Park also offers travelers the option to just have lunch or dinner on the mountain. Whichever option you choose, you’ll leave with remarkable memories and maybe even a newfound love for mountain climbing in Colorado. For the more cautious traveler: Estes Park also offers hiking trails and other exhilarating activities that don’t involve cliff camping. You may even be interested in attending a short rock climbing lesson just to get a glimpse of the view from the mountainside. Dinner in the Sky is a company operating in over 40 countries including Morocco, Italy, Australia, and the UK. This incredible dining experience allows travelers to enjoy a meal while being suspended over any one of the beautiful cities that Dinner in the Sky serves. Why take a helicopter tour when you can have a bird’s eye view of the city with your family and friends at the dinner table? While it may sound surreal, your table will be suspended miles above the ground as you enjoy a one-of-a-kind meal from Dinner in the Sky’s chefs. They’ve even hosted wedding ceremonies on their sky-high platforms! For the more cautious traveler: For those who wish to stay on the ground, Dinner in the Sky is offered in many amazing cities with plenty to offer on their own. Whether you’re exploring Europe or the Middle East, members of your group can inquire about reserving a table near the clouds for a remarkable dining experience. The CN Tower EdgeWalk is Toronto’s tallest urban adventure and the world’s highest full circle hands-free walk. You’re walking outside along the edge of the roof – and this is a seriously tall tower – 356m/1,168ft above the ground. Look ma, no hands! Okay, so this one is not about heights (we took a bit of liberty as the dolls are strung at a height anyway) but this will definitely mess with your head. 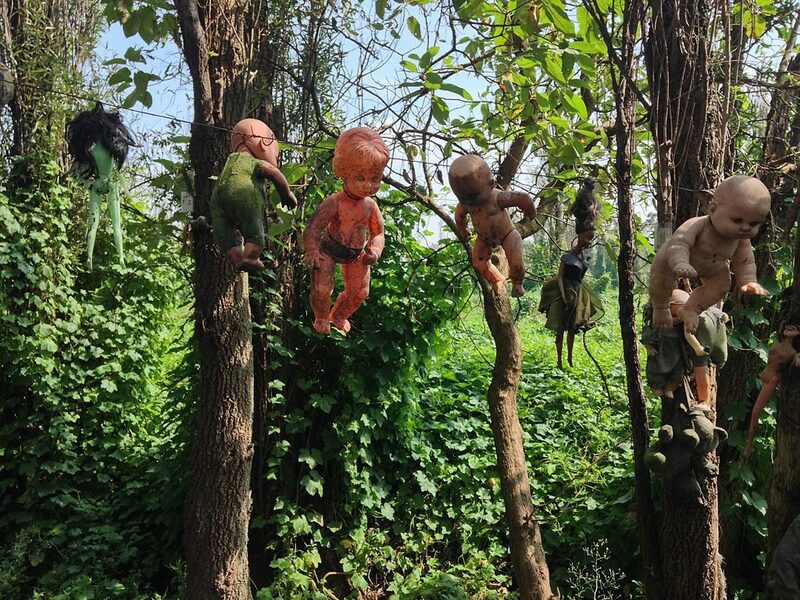 Mexico’s Island of the Dolls (Isla de Las Munecas) is for brave travelers who want a thrill from witnessing this fascinating island with an even more intriguing legend behind it. A local man named Julian Santana dedicated his life to filling the island with dolls after claiming to have found a young girl who had drowned in the canal along with her toy doll floating lifelessly in the water. Santana collected nearly 1500 dolls that are now rotting and decaying. Locals tell stories of the dolls coming to life at night or murmuring to unwelcome passerbys. Whether or not you believe in ghosts, you won’t be able to deny this eerie island’s gripping history. For the more cautious traveler: La Isla de Las Munecas is a ferry boat ride away from Mexico City, but not all boats pass through the area. You can certainly do your research ahead of time or ask an agent at the dock for more details about where your boat is stopping. You can also simply visit the nearby ecological park of Xochimilco that’s home to beautiful birds, plants, and their star inhabitant; the axolotl.